Home > economy > What's Making It Harder to Retire in America? What's Making It Harder to Retire in America? The other day I was reading a Bloomberg article about how income inequality in the U.S. has hit a disturbing new threshold. It went on about the fact that wage growth is ridiculously slow, despite our near full employment situation… that African Americans and women are still disadvantaged… and that the wealthiest are accumulating more money than ever. Really, none of it surprised me. This is one of the issues that boosted Trump into the White House. It’s also a trend I don’t see changing much in the near future, thanks to the demographic path we’re currently on. And, as I see it, it’s a path that doesn’t end at a beach resort with perfect weather, an all-you-can-eat buffet, and limitless free cocktails. Never mind the income inequality, the U.S. is careening towards a retirement crisis so epic, there’s no historical precedence. First, the death of pensions in America has caused a dramatic shift where you – and only you – are responsible for your retirement savings. That’s why, unless you’re sitting on one of the few remaining pensions, knowing where you stand today is critical to finding out whether you can outlive your nest egg. While I don’t have your personal numbers, the average Social Security check for 2018 is a pitiful $1,404 a month. And the maximum you can receive each month is just $2,788 for 2018. When you add up food, gas, medical costs, and other basic living expenses, Social Security just won’t leave much left over to actually enjoy your retirement. The trustees of the Social Security Trust Fund projected, in their 2017 report, that the excess funds in the account – the total of what you, I, and all current and past workers have paid in – will be exhausted by 2034! That projection doesn’t mean you’ll get nothing starting in 2034. It means that the program will only have enough revenue coming in to pay out 77% of promised benefits beginning in 2034. You’ll Need to Set Aside $490,000 JUST for Healthcare in Retirement! People are living longer than ever before. In many cases, much longer… well into their 90s and beyond. 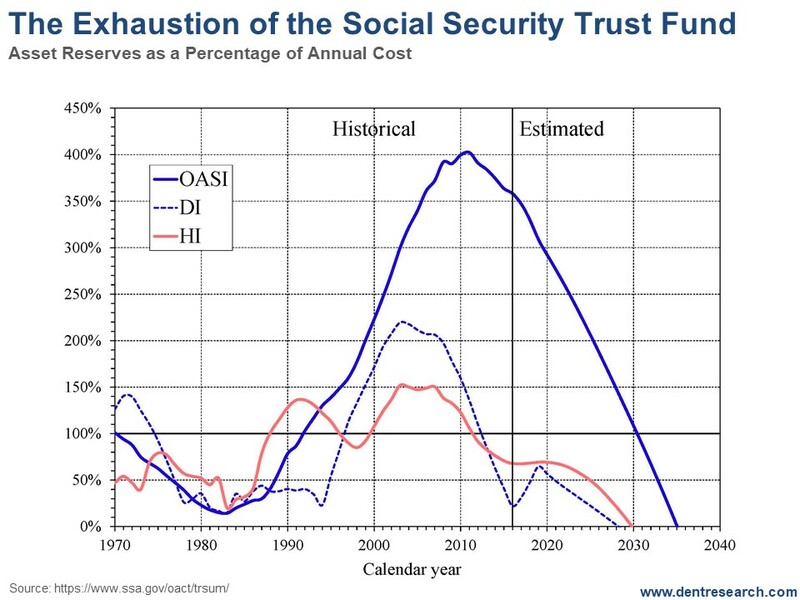 Never mind the fact that Social Security wasn’t designed to pay out benefits for 20 to 30 years, the health issues we have as we get older are more expensive to treat… and they’re the #1 threat to your retirement balance. It begs the question: Do you have an EXTRA half-million dollars lying around just for healthcare expenses? I’ll go out on a limb and say it’s highly unlikely. To cover expenses like that, you’d need a sizeable income stream during your retirement years… along with a seven-figure portfolio you can draw upon.